This Holiday Season, Divine Organics is offering a discount on a special blend of some of our favorite superfoods. 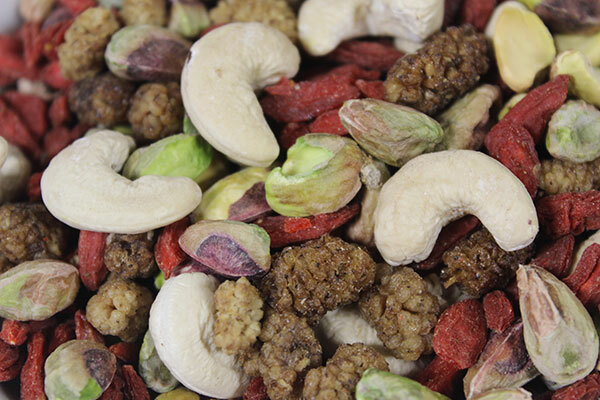 All organic and raw, this delicious mix is packed full with nutrition, from white Mulberries, creamy Cashews, Goji-Berries and princess Pistachios. A satisfying and energizing snack that offers lasting fullness, during the winter months. A perfect gift or stocking stuffer, and a nutritious offering at your next Holiday party or gathering! © 2019, Transistion Nutrition. All rights reserved. Website design by Brooktown Design.